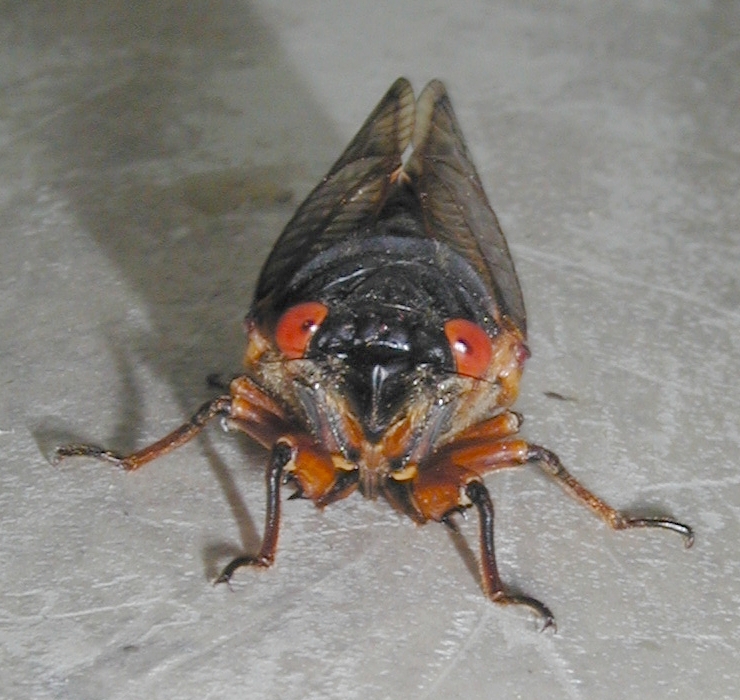 It's cicada time in Texas! For some reason, these buzzing, flying critters really disturb certain people. 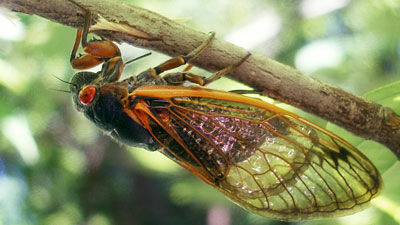 Me, I think cicadas are awesome. Their sonorous drone is the sound of summer for me. (Click here to hear it.) And they're harmless - they don't bite, or sting, or buzz around your head when you're driving - which vaults them to the top of the bug heap as far as I'm concerned. 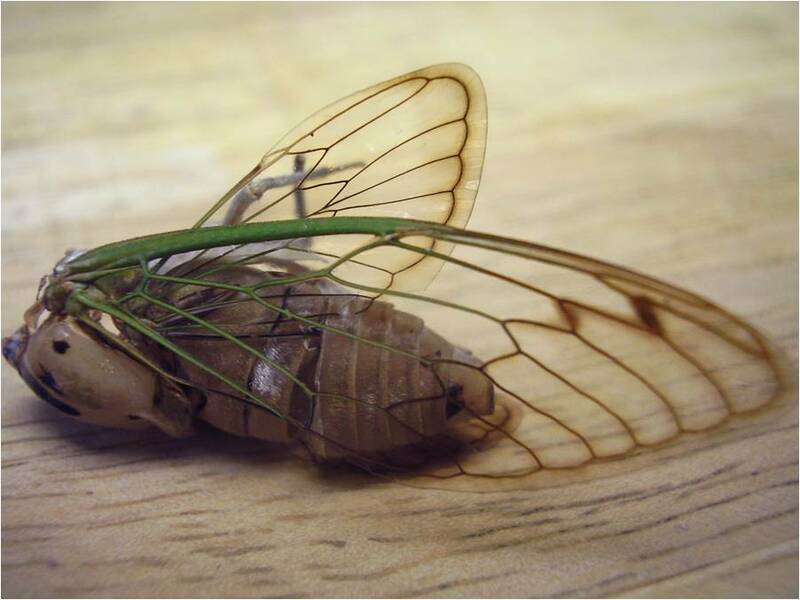 Now, the thing I think is coolest about cicadas is that they progressively shed their exoskeleton as they grow. 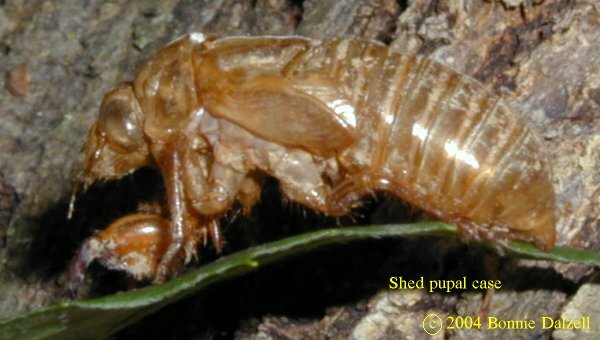 During cicada season it's quite common to find discarded pupal cases on walls, trees, sidewalks, etc. They leave 'em where they shed 'em, and the little dried claw-shells just hang on where they were abandoned. which has lots of gorgeous up-close buggy pictures. Precocious Daughter happens to hold the opposite opinion of cicada exoskeletons. In a word, they freak her the freak out. She will literally run screaming from the sight of a crunchy cicada shell. Yet she'll watch the same episode of "Victorious" seven times without batting an eye. Horror is in the eye of the beholder. I actually quite enjoy "Victorious." 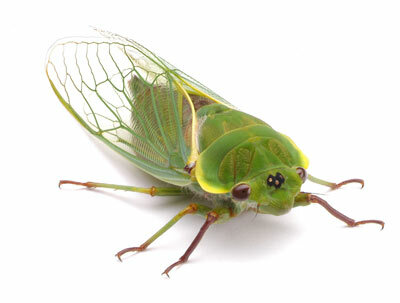 I just think cicadas are prettier. 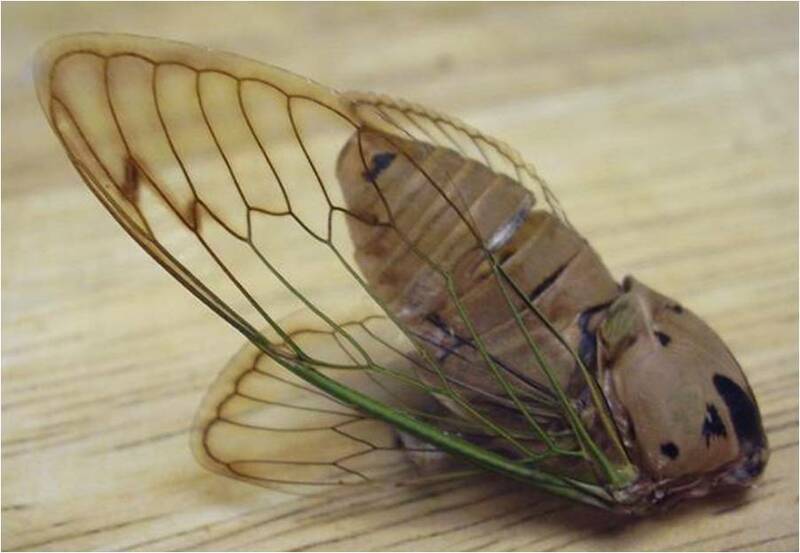 ﻿Anyway, this morning I was out in the yard, planting solar lights in the parched earth (no easy task), when I came upon a gorgeous example of a cicada exoskeleton. Both PDaughter and her father failed to appreciate this natural work of art when I brandished it thisclose to their faces. Go figure. But I loved it enough to photograph it. Look at those wings! They're like tiny stained-glass windows. I haven't very often seen adult cicada exoskeletons. Mostly you come across the pupal cases, and they're cute and all, but finding one with the wings intact was way cool. Look, that's where he came out! Is that awesome or what? Really? 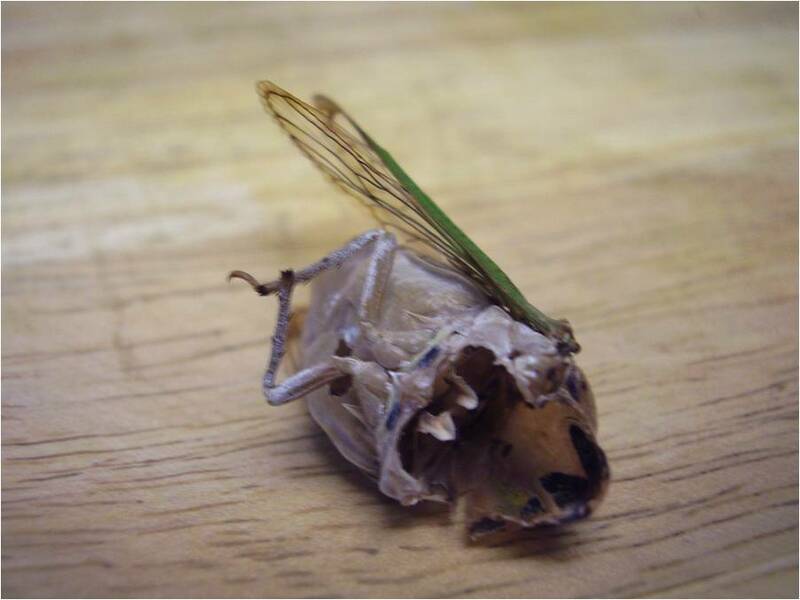 Some of you are less than impressed with my friend the dried-up cicada husk? I think he's spectacular. If I can find some more I'll photograph them, too. And I promise I'll only chase my family members around the house with them for a little while. Probably.